When Brittany and Walt Hammond got married, they said they would sit down to dinner as a family, and pray over their food. Two toddlers and two open-heart surgeries later, the tradition remains intact. Deacon Hammond of Bryan, TX, may have half a heart, but he is whole in mind and spirit, if not body. Diagnosed in-utero with Hypoplastic Left Heart Syndrome (HLHS) a rare congenital heart condition, Deacon is a happy and very busy toddler, even after two major surgeries, and a third on the horizon. 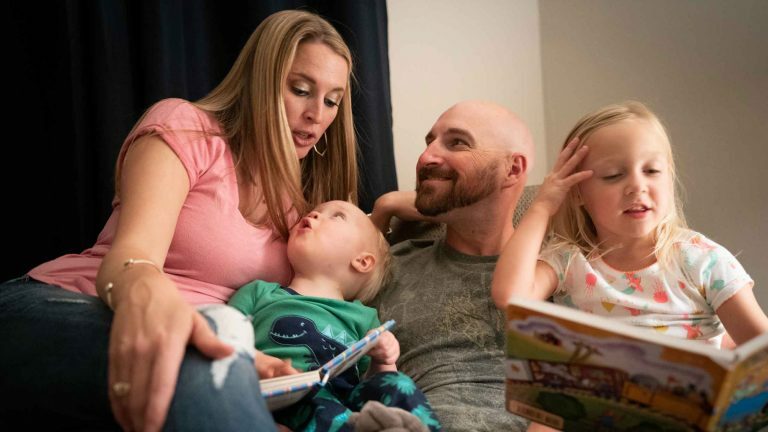 With little certainty about the course of their son’s lifelong health journey, Deacon’s parents, Brittany and Walt, wish for their son to be “a testimony of strength and spirit to the world.” So they decided, upon diagnosis, to try to never take a moment for granted. And to help Deacon live life to the fullest. We’d love to find out how you have parented a child with a congenital heart condition. You can tell us (and CaringBridge users everywhere) about any tips and techniques you’ve used successfully and what advice you’d give to other parents. Comment with your ideas and stories below.